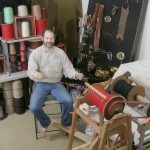 Darin Alexander tightening twist of single yarns for use in cinch cords. 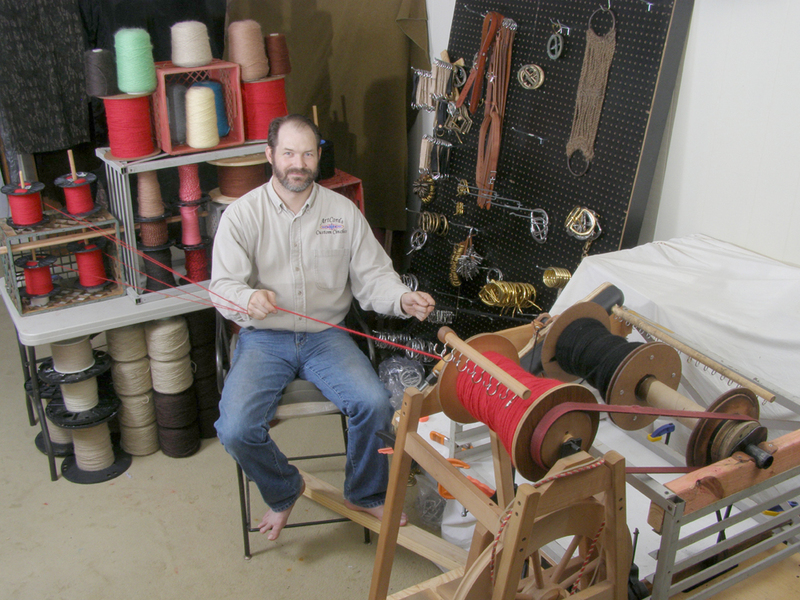 ArtCords is a family owned and operated business which provides educational training and supplies to cinch makers around the world. Our studio is located in the far Northwest corner of Arkansas near the Western edge of the Ozark Mountains. Education and consulting with Darin are now by appointment only. In 2014, the switch to a new online store platform to help improve our bottom line did not work out as well. Much like cheap cinches, we discovered that although the upfront cost was a fraction of the provider previously used, the new host included hidden costs and technical issues which continued without resolve. In retrospect, the attempt to simplify the ordering process had been a good one, however, surprising rise in social media censorship that coincided with drops in materials sourcing quality brought me to recognize how I could be of little benefit to others without a sustainable operation. With the added pressure of the “Affordale-Health-Care” act, I was prayerfully blessed with a full-time position in another industry allowing a more scientific study into heirloom and organic gardening techniques with plans to further the cinch materials research and development in a sustainable manner. Feel free to contact us with any questions and we usually are able to respond within a few days. We respond to inquiries as able since we wish to be complete in our response to each inquiry. When you do call, please leave us a voice message and be aware that we have periodically found ‘smart’ phones delaying messages a day or more. We look forward to assisting you in any way that we possibly can.